2.) Grassroots Survey Conducted on the Importance of the Madrasah, Mimbar and Family Unit. Carried out with the help of the youths of Leicester Jamaat. 3.) 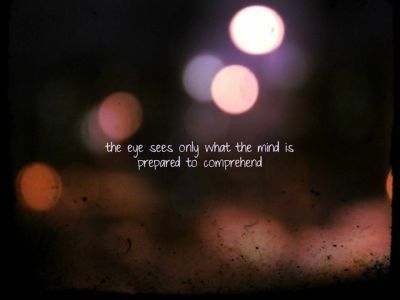 7 Principles of Spiritual Education - A Framework for the Madrasah. This powerpoint outlines key spiritual challenges to madrasah education and using letter 31 of Nahj al-Balagha, proposes a 7 principle model for spiritual education. 4.) Divorce Cases in the KSIMC. A summary of a report by one of the largest jamaats in the KSIMC about the nature of divorces in the community and why they occur. 5.) A piece written on the subject of 'How important is our Khoja Shi'a Ithna Asheri Muslim identity to us?' Published online by Stanmore Jafferys, London, UK. 6.) Article: Are We Losing Our Sense of Khoja Shia Ithna-Asheri Muslim Identity? 7.) 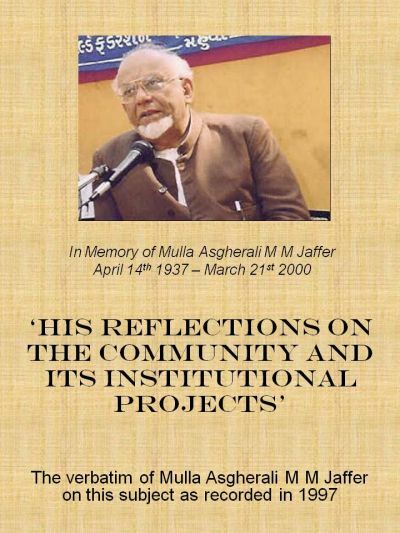 Marhum Mulla Asgharali M M Jaffer's Reflections on the Community and its Institutional Projects. This document is the verbatim of Marhum Mulla Asghar's reflections on the KSIMC as recorded in 1997. The book may enlighten all those who knew Mulla Asghar but also future generations who may not have heard about one of our most illustrious leaders. The book is historical journey of a leader's thoughts on a growing community which serves as a good benchmark to see how far the KSIMC has come, whether it has regressed and possible ways in which it can forge ahead. 9) European Union - To Remain or Leave? An article on the issue and implications of Brexit. 10) Our Youth: Why Should We Worry? 1.) David Cameron's Confusing Muscular Liberalism is Brawn without Brains.An article on the issues of extremism and multiculturalism in the UK and the need for a shared national grassroots identity. Published by the Islamic Human Rights Commission. 2.) The Need for Effective Discourse after 7/7. An article on how British Muslims can change the political discourse after the bombings of 7/7. Published by the Islamic Human Rights Commission and Essex Jamaat. 3.) Introducting the Grassroots Perspective - the issue of MINAB. An article on the institution of MINAB and the issues of extremism and social cohesion it aims to address. Published by Human Rights in Islam. 4.) The Necessity to Be Just and Humane - A Response to the Publication of Derogatory Cartoons of Prophet Muhammad by the Danish newspaper, Jyllands-Posten. Published online by Essex Jamaat. A conceptual article which argues for the need to develop a Qur’anic ethical framework by laying some foundational bioethical principles from the Qur’an and comparing them to the Beauchamp and Childress framework. This introductory article seeks to convey the message that spirituality is a core human concern at the time of death. It argues that more research needs to be carried out in this area so that medical practitioners deeply understand patients' mental, psychological and spiritual anxieties during this distressful period. In total, there have been 11610 visitors (33273 hits) on this page!